The following terms and conditions apply to all Lotus on Track Ltd event bookings and memberships: Do not join the club or book any event until you have satisfied yourself that you have read and are happy with our terms and conditions of business which are detailed below in full. 1. After placing an order, you will receive an e-mail from Lotus on Track Ltd acknowledging that we have received your order. Please note that this does not mean your order has been accepted. 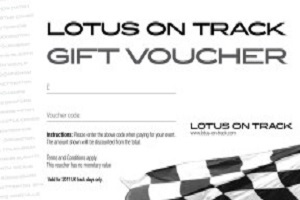 Your order constitutes an offer to Lotus on Track Ltd to buy a track day. 2. All orders are subject to acceptance by Lotus on Track Ltd, and Lotus on Track Ltd will confirm such acceptance to you by sending you an e-mail that confirms the track day has been purchased. The contract between us will be formed when we send you the confirmation email. 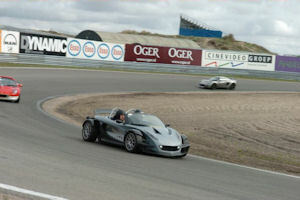 By booking a track day through the site you warrant that you are legally capable of entering into binding contracts. 3. The confirmation email will also contain a link to Lotus on Tracks’s standard Registration Form. The details listed in the original booking page and the terms of the Registration Form will also apply to the contract between us. 4. If you do not receive the confirmation email or you are unsure about any matter regarding your booking please email info@lotus-on-track.com. 5. All payments must be made in advance. 6. 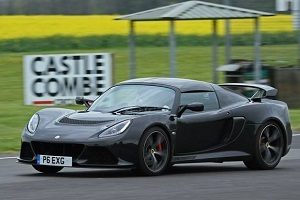 A provisional booking will only be confirmed once Lotus on Track Ltd has received full payment. Bookings will not be honoured unless full payment has been received. We will sometimes offer a reduced event price for early payment but may increase the event price without notice. If the number of places available is low we would advise that you pay on-line to guarantee your place. 7. We accept no responsibility for loss arising due to a booking not being guaranteed. 8. Bookings cancelled within 7 days of an event will not be refunded unless the booked space can be re-sold in which case Lotus on Track Ltd will issue a credit note less a 25% administration charge. 9. Bookings cancelled between 8 and 28 days prior to an event will be refunded less a 20% admin fee. 10. Bookings for individual events cancelled more than 28 days before the event will be refunded less a 5% admin fee. 11. Bookings for multiple event trips sold as a package will only be refunded at the organisers discretion and less a 20% admin fee. No refunds or credits will be given for cancellations within 28 days of the opening day of the event under any circumstances. Package bookings including hotel rooms cannot be sold on by members without prior approval from Lotus on Track Ltd.
12. Bookings cannot be sold/passed on to non-members without prior written consent. Car rental companies may not purchase event places to then sell on to their customers without prior written consent by Lotus on Track Ltd.
13. Actual Bookings are not transferrable between Lotus on Track Ltd events. In the event whereby credit notes are issued as an alternative to a refund, these credit notes expire after 12 months, unless otherwise agreed in writing at the time of issue. Once a credit note has been issued it cannot be refunded. 14. Drivers and passengers on all track days must be 18 years old or over. Second drivers must be 21 years old or over. 15. All Drivers must produce evidence of holding a current EU driving licence. 16. 2nd Drivers must at all times meet the experience criteria stated in the booking information. All 2nd drivers must attend the first briefing otherwise we hold the right to refuse permission to drive on the event. We will not accept more than 3 drivers per car. 17. Timing and competitive driving is prohibited on track days. 18. All drivers and passengers must wear a crash helmet that is suitable for driving a car on circuit. ANY open vehicle will require a driver to wear a full face helmet or fit a full fixed roof (not soft top). At some circuits we require drivers to wear a helmet that complies with current FIA/MSA/FFSA/RACB standards, this will be advertised on the relevant booking page. Drivers are responsible for ensuring helmets are fitted correctly. 19. It is only permitted to use road legal tyres unless car is fitted with FIA/MSA/FFSA/RACB approved Roll Over Protection system(ROPs), and then only by prior written approval. 20. Caterham type vehicles must be fitted with an FIA/Motorsport UK/FFSA/RACB approved Roll Over Protection system(ROPs), although we recommend a full FIA approved roll-cage. All other non-Lotus cars that have a soft top or open top must be fitted with an approved Roll Over Protection system(ROPs). All cars regardless of manufacturer registered before 1995 must have an half or full roll-cage. At Spa Francorchamps, Dijon Prenois, Le Mans, Bilster Berg & Zandvoort a full approved roll-cage is required on all cars with the exception of Lotus, Porsche, Ferrari that have been registered after 1995. To be clear if you would like to drive Spa with a Caterham/Westfield you must have a full roll-cage. 21. 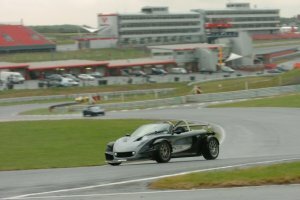 Lotus on Track Ltd recommend that track day insurance is taken out by participants and cannot be held responsible for damage occurring to vehicle or person. To be clear: You are not insured by Lotus on Track Ltd when driving on track for any damage to person or property. 22. 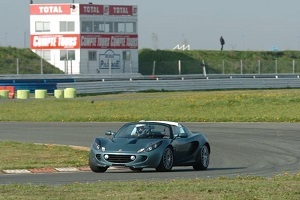 Lotus on Track Ltd reserve the right to refuse any booking or membership. Lotus on Track Ltd also reserves the right to cancel an individual’s membership without notice or explanation but will refund the membership fee in full in this occurrence. 23. Although Lotus on Track Ltd will endeavour to honour all bookings and events Lotus on Track Ltd reserves the right to alter in any way or cancel any event. If this becomes necessary Lotus on Track Ltd will endeavour to inform booked customers as soon, as is practically possible. 24. Lotus on Track Ltd cannot be held responsible if an event is cancelled or stopped due to forces beyond its control and such fees paid for such events are strictly non-refundable and refunds are made at our discretion. No claim for loss can be bought against Lotus on Track Ltd.
25. All cars must have a properly affixed towing eye fitted. Lotus on Track will not be responsible for any damage to any vehicle in the course of recovery, be it gravel trap or circuit. 26. Lifetime membership will be valid while Lotus on Track Ltd is trading. If Lotus on Track Ltd ceases trading no claim for the membership fee can be made. 27. Individual events are governed by rules, regulations and safety regulations given in advance to all customers, which must be agreed to. 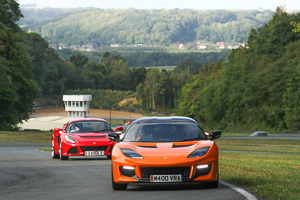 Lotus on Track Ltd reserve the right to eject and refuse access to any customer found to be in breach of those rules. 28. All event participants are required to sign an industry standard indemnity form before participating in an event. A copy of the Lotus on Track Ltd indemnity can be found HERE. 30. The fact that information, products or services are shown on this site does not necessarily mean that the product and services that we provide are suitable for you. It is your responsibility to check this out. Some of the services on this site may not be available or may have changed. 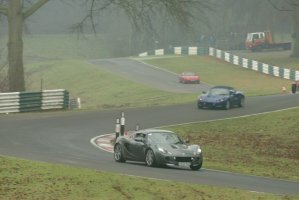 That by booking you wish to drive a vehicle or vehicles, and/or otherwise participate in a track event organised by Lotus on Track Ltd. You understand that motorsport is hazardous, and you are voluntarily exposing yourself to risk of damage or loss or personal injury by participating in a track event. Despite this, you understand that racing is prohibited, and that the purpose of the event is to allow the participants to improve their skills and learn the handling characteristics of the vehicle(s) they are using. You understand that any insurance carried by Lotus on Track Ltd and/or the event location operator in respect of any liability which might arise out of the track event will be limited, and that your own motor, third party and public liability insurance (if any) is unlikely to cover you for your losses, liabilities or personal injury and agree not to hold any member, agent or staff of Lotus on Track Ltd responsible or liable for any loss or damage to property or person. Car type must be Lotus, Caterham or similar 2 seater sports car. Other cars may be accepted, please email us. Radicals or similar will not be accepted under any circumstances. It is the customers responsibility to check. a) Lotus on Track Ltd will not be scrutineering participant’s vehicles before permitting them on the track, nor has it any control over the level of competence of other participants. b) Lotus on Track Ltd is not a training organisation. Experienced track users will be on hand to give guidance, but it is just that – informal hints and tips. If you wish to bring your own instructor or trainer to a Lotus on Track Ltd event you must get written approval from Lotus on Track Ltd prior to the event and understand that approval is at Lotus on Track Ltd discretion. c) Lotus on Track Ltd whilst giving guidance on, and where required to, enforcing the rules and safety standards of the event location operator, will not otherwise enforce track discipline or safety measures. You yourself are responsible for the way which you use the track, and for wearing appropriate protective clothing. d) Lotus on Track Ltd and/or the event location operator may refuse you access if you, or your vehicle, infringe any relevant rules or regulations or appear dangerous. You understand that the payment(s) you have made to Lotus on Track Ltd will not be refundable under these circumstances. a) That you are fit and healthy and that your eyesight (with lenses if to be worn) is adequate for track use. b) That any vehicle for which you are responsible, and/or which you will use on the track, is in good and suitable mechanical condition. That the vehicle meets the criteria laid out in the Lotus on Track FAQ and that it has V5 registration document or equivalent for another European country. b) That you have read and understand the noise limits in place for the event for which you are attending. You agree that should any vehicle for which you are responsible for exceed these noise limits either the circuit or Lotus on Track Ltd will refuse permission for your vehicle to be driven on circuit. No refund or credit will be given should a vehicle for which you are responsible for be refused access to the circuit. c) That you hold a current full driving licence entitling you to use, on the public roads a vehicle of the size and type that I will be using on the track. d) That you will not participate in a track event whilst under the influence of alcohol or intoxicating drugs. e) That any fuel you bring in to a venue will be stored in a container that meets fuel carriage safety requirements of the country the event is being held at and that that fuel will not exceed 25 litres capacity. 34. You agree to make no claim against Lotus on Track Ltd or it’s officers or agents in respect of any loss or injury suffered by me during a track event, and to indemnify them against their costs and losses arising out of any claim made against them by anyone to the extent that such costs and losses are attributable directly or indirectly to your participation in a track day. You have read and agree with the above declaration and indemnity, and agree that it’s terms will also apply to your participation in any future track day organised by Lotus on Track Ltd, unless you sign a subsequent declaration and indemnity, which will then take precedence. It is taken that by becoming a member of Lotus on Track and/or booking an event and or attending an event and/or relying on information provided by Lotus on Track Ltd that these conditions are agreed to and that you have read, understood and acknowledged the above declaration.